with joy, good health, and craftiness! It's New Year's Eve! Are you ready for 2016? LD seems to be- they've released several new calendars on their site! CLICK HERE to check out the new LD fonts and the new (Super Cute!) calendars designed by Sheri McCulley. There is also a new LD coupon available-->> use the code Bye2015 to take 50% on purchases of $15 or more. Great deal! Click HERE or the image above to go to the LD site. Add the 2016 Calendar (printable) to your cart and checkout. You pay $0.00! Did y'all have a good Christmas? For the first time in 3 years we actually managed to spend Christmas Day at home instead of being on the road. 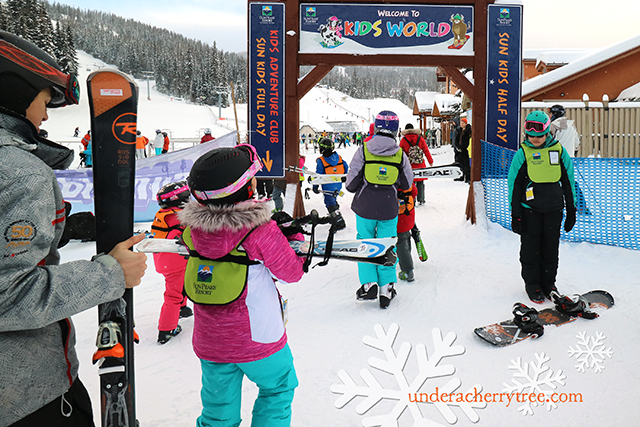 We rushed back from Sun Peaks just before Santa started making his rounds. Christmas Day may be over but we're leaving our tree up for just a few more days. It is, however, time to think of the New Year. Speaking of which, there's a new collection from LD that they made just for the occasion. Even better, you can get the entire Happy Mew Year Collection for free! CLICK HERE FOR ALL THE DETAILS OF THE PROMO. There are also some new fonts and dingbats in the store. CLICK HERE to see all of the latest stuff. By the way, at the time of this post, the coupon Santa 25 is still working. If you are shopping on the LD site, don't forget to use it to save 25% on any purchase of $10 or more. Click HERE or the image above to go to the LD site. 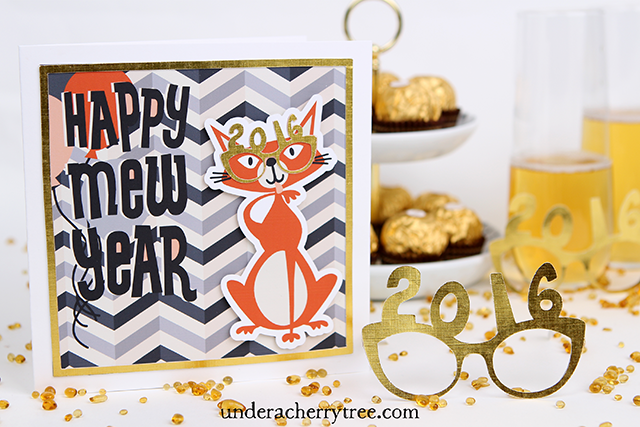 Add the Happy Mew Year Specs to your cart and checkout. You pay $0.00! I know that it's almost the end of the day but can y'all stand just one more Christmas card? I made this several weeks ago and then promptly misplaced it when I was "Kon-Mari-ing" and reorganizing my craft room. I just found it this afternoon. 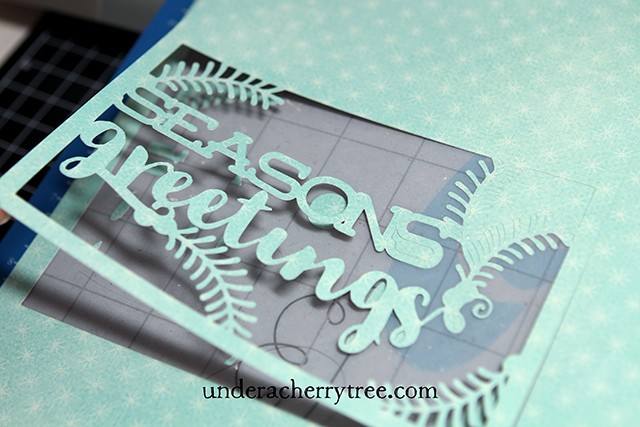 I used stamps and a die-cut by Mama Elephant for the reindeer, the greeting, and the mountain range. The reindeer was colored using my new Copics markers while the snow caps on the mountains were cut out from a sheet of adhesive-backed felt that I bought from Daiso. Hope you like this card as much as I do! may the New Year bring you lots and lots of creative power! I am away on our annual ski trip and have very limited internet access. If you have sent me a message or an email, please know that I am not ignoring you. I will only be able to respond when I get home. 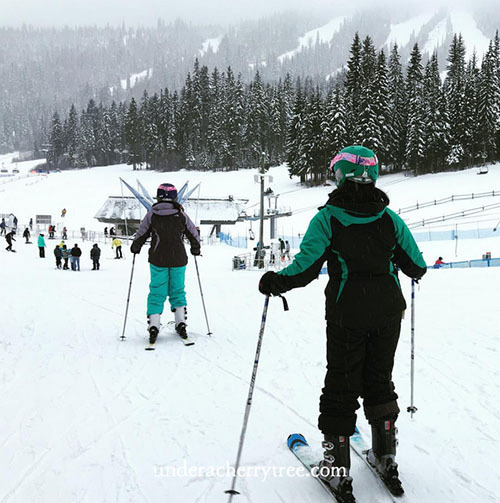 In the meantime, if you'd like to see what we are up to at the Sun Peaks Ski Resort in Canada, please follow me on my Instagram. 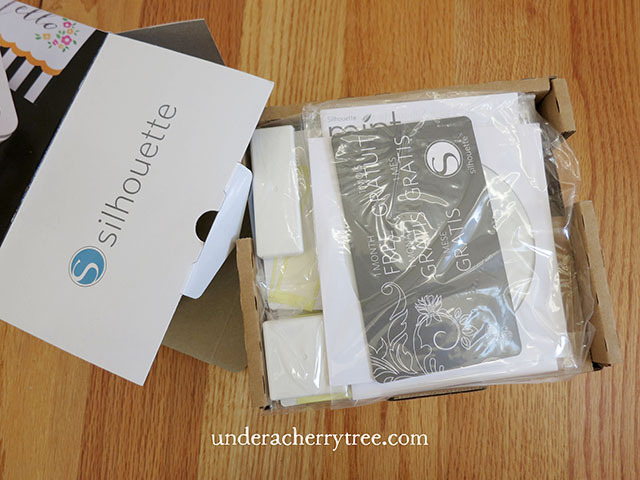 This is your daily reminder that Silhouette is giving a free shape everyday until Christmas. Click HERE to get today's freebie. If you had missed the daily freebies, you're in luck! Silhouette has made the free shapes available again. 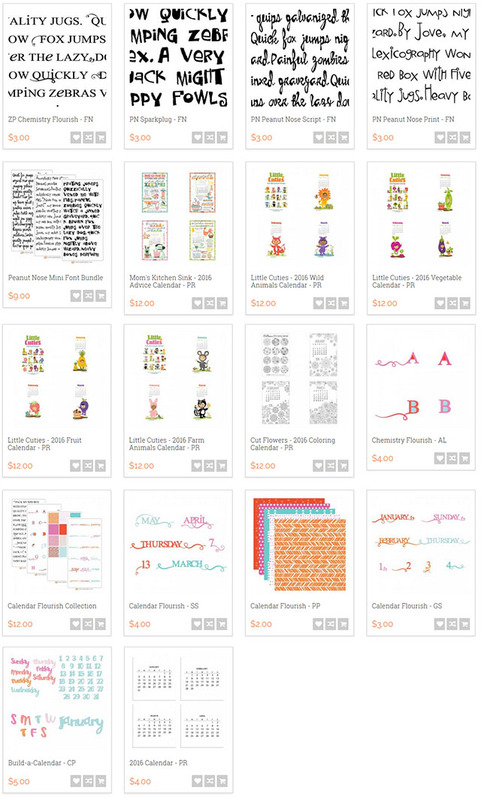 Just CLICK HERE to find all the current designs that are marked as "FREE" in the Silhouette Design Store. Please note: I am away on our annual ski trip and have very limited internet access. If you have sent me a message or an email, please know that I am not ignoring you. I will only be able to respond when I get home. In the meantime, if you'd like to see what we are up to at the Sun Peaks Resort in Canada, please follow me on my Instagram. The new Free Design of the Week is also up in the store. Click HERE to get it. Hi everyone! Here's a little heads up that I am on ski trip and the internet access is very limited here. If you have sent me a message or an email, please know that I am not ignoring you. I will respond when I get home. In the meantime, if you'd like to see what we are up to at the Sun Peaks Resort in Canada, do follow me on my Instagram. Here's your daily reminder that Silhouette is giving a free shape everyday until Christmas. Click HERE to get today's freebie. Silhouette is giving a free shape everyday until Christmas. Click HERE to get today's freebie. It's 8 days away from Christmas and I am all tired out. I have been cleaning house and shopping like a mad woman, while preparing for a birthday party AND celebrating two birthdays in the family two days apart. At the same time, I am also trying to prep for our Christmas break. It may be a little bit of an understatement to say that I am overwhelmed. I had just returned home from taking my kid to an unscheduled (read: emergency, sort of) dentist visit. It's cold and rainy outside and having stayed up too late last night, I just wanted to curl up in bed even though it's only 3pm on a Thursday afternoon. Instead, I made coffee and flipped open my laptop. OH. MY. GOODNESS!! How awesome is this?!! Alison loved my idea for a Pull-Out Coffee Cup Gift Card Holder and so she made one up except that she made it even better! I LOVE her project and especially the back with the checked boxes. How clever is that?! Thank you for sharing your gift card holder, Alison! I was feeling so drained but you have energized me and put a big, fat grin on my face! Nothing makes me happier or more excited than to see a reader put my project idea to use. Thank you for letting me share your project with my readers too. You rock! 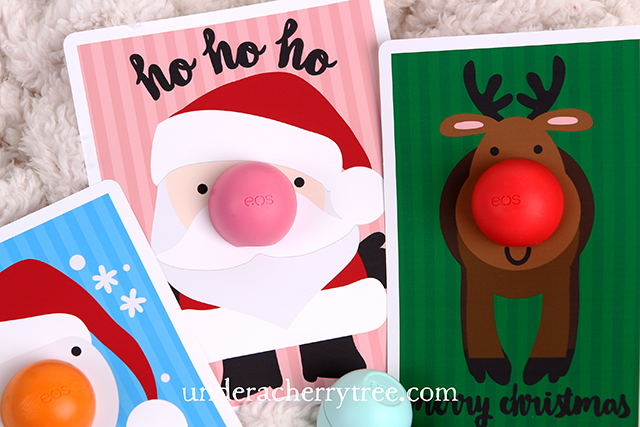 LD released several new files on Tuesday but I think that their Red-Nosed Lip Balm Cards is the most fun to use. I mean, seriously, how cute are these? These cards are also very easy to make. 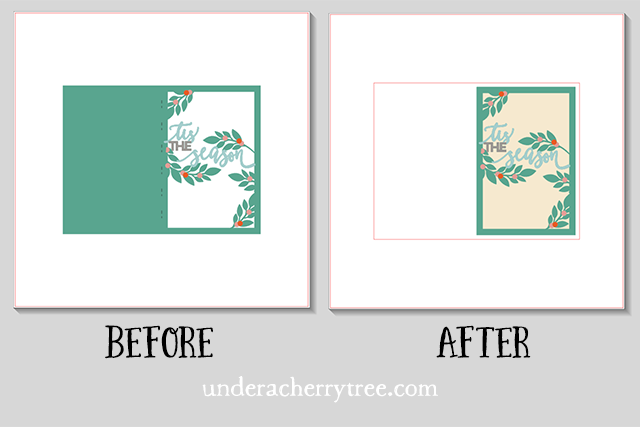 I used print-and-cut with my Silhouette Cameo but you can certainly cut them out manually too. 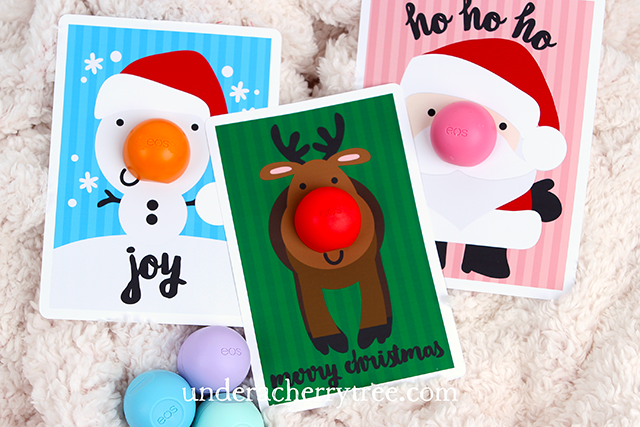 Besides the Snowman, Santa, and Reindeer cards that I am showing y'all today, LD has another set of Lip Balm Cards featuring 2 gingerbread men called the Christmas Calories- Lip Balm Holder set. 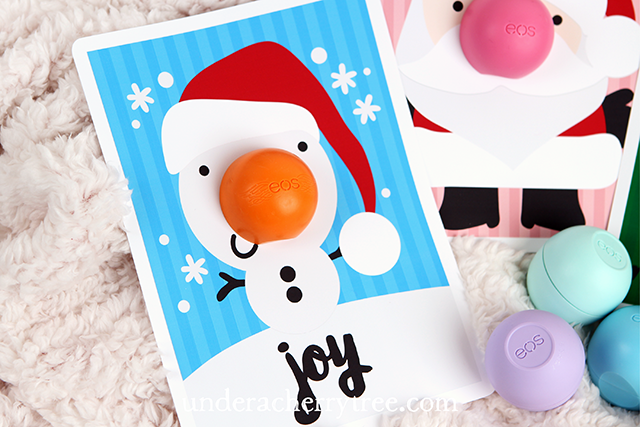 I have not cut those out yet and I was thinking, wouldn't it be fun to use a gingerbread-scent lip balm to attach to that gingerbread man card? Do they even sell that in the stores? If you know, do drop me a note and tell where I can find them. I think it'll be a hoot to make and give those away too. Whoa! LD pulled a fast one on us today. They released several new sets and are even giving away their Friday Freebies. For a moment, I panicked and thought that the weekend was already upon us but it turned out that LD was just releasing the new designs early. PHEW!! 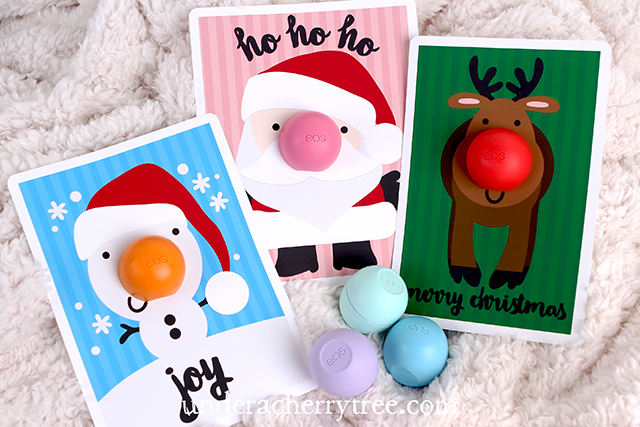 I *heart* the Lip Balm Cards and the holiday Cup Characters! I had so much fun with the original Cup Character set that I'm excited to see a new version for the holidays! By the way, if you are shopping on the LD site, don't forget to use the coupon Santa25 to save 25% on any purchase of $10 or more. You can get some really good deals if you combine it with the LD 75% off Holiday Sale that is still going on. CLICK HERE to shop the LD Holiday Sale. Click HERE or the image above to go to the LD site. Add BOTH the Yeti For Christmas Graphic Set and Cut Set to your cart and checkout. You pay $0.00! Silhouette users, don't forget to grab the free designs from the Silhouette Design store. They are giving a new shape every day until Christmas. Click HERE to see today's free shape and don't forget to check back tomorrow for another! 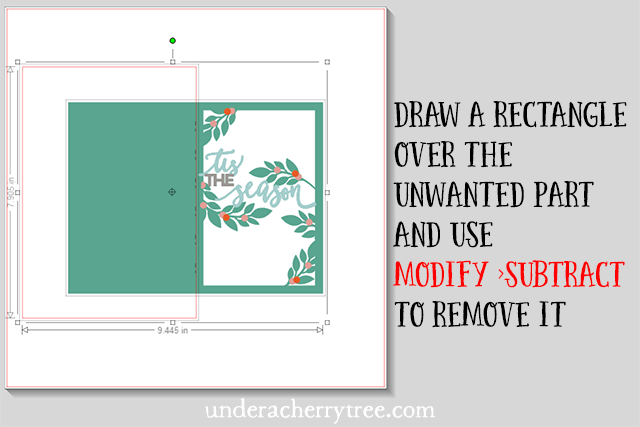 Silhouette is giving away a free shape from the Silhouette Design Store everyday until Christmas. CLICK HERE TO GET TODAY'S FREE REINDEER SKETCH. The new Free Shape of the week is also available now. CLICK HERE TO GET THE FREE SHAPE OF THE WEEK. To be honest, I am a little embarrassed to be posting this now. 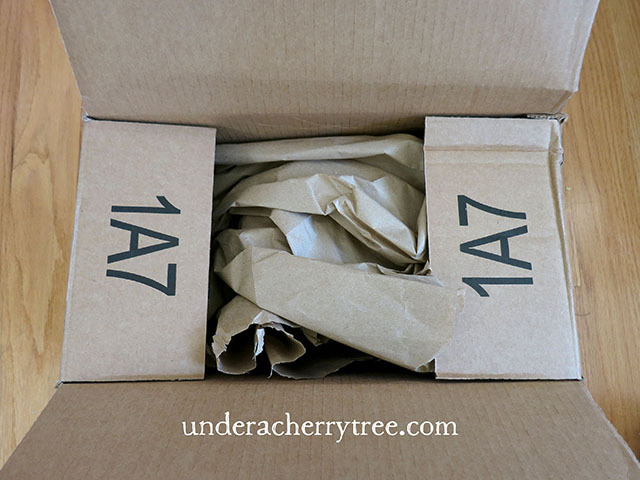 I had the Unboxing party on my Facebook page back on Oct 27. I had meant to post the photos here that same evening but I completely spaced out. 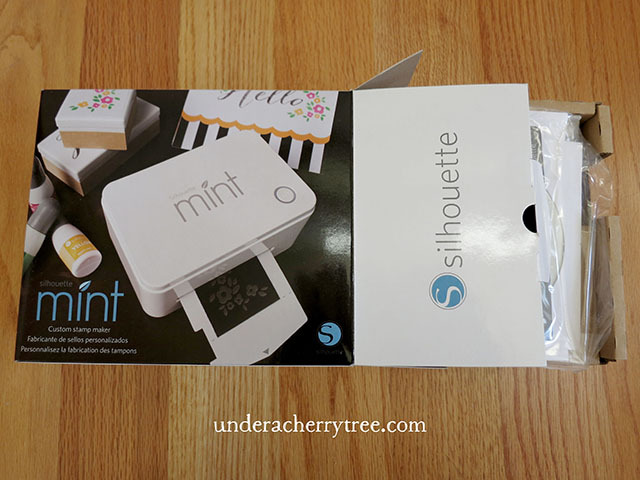 Anyway, I'm sharing the pictures now in case someone wants to know what they are getting when they order the Silhouette Mint. After all, it's better late than never, right? 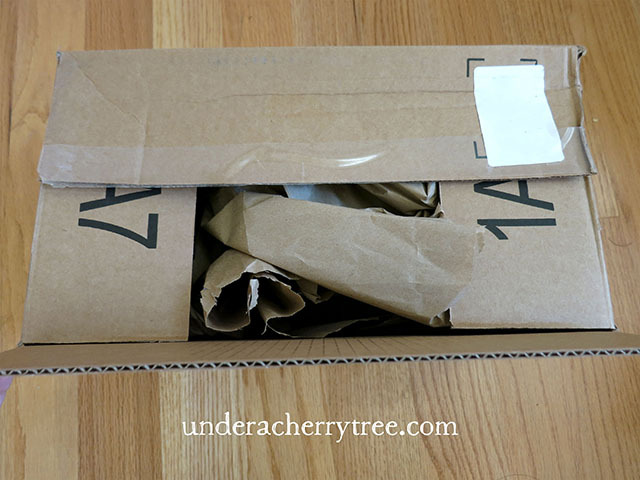 "So I ordered this from Amazon last Thursday and the box was delivered on Monday afternoon." "Hmm...I'm not particularly impressed by the way this was packed. Did they just roll up a sheet of paper and squashed it over the product?" "Yup. they did just roll up a sheet of paper. :( "
" I love my Casio Pomrie. 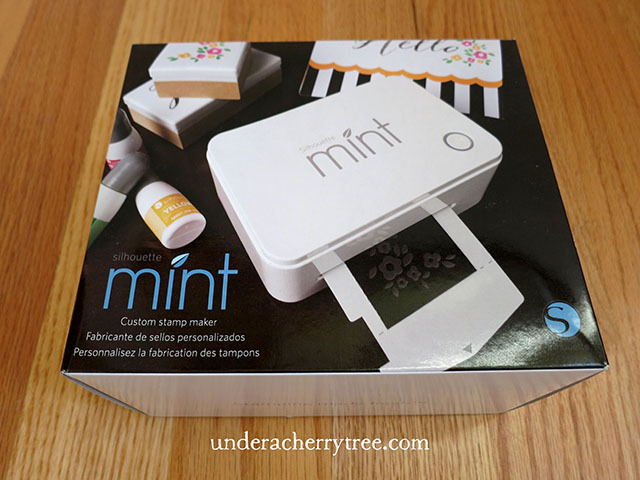 It's a cute little toy/gadget thingy and I was really tickled when I heard that Silhouette was coming out with the Mint. It's basically the same thing as the Pomrie, but rebranded as a Silhouette product. I HAD to buy it when the price came down last week. In fact, the price has dropped even further. 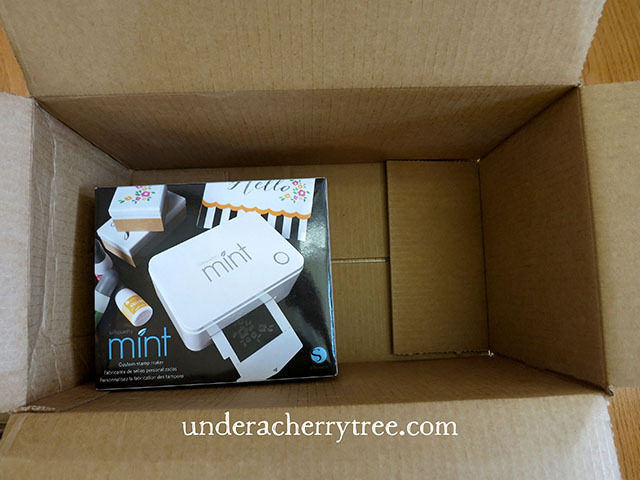 At the time of this post, it's only $109.99 and if you are a Prime member, the Mint ships free -->> http://amzn.to/1LW27du "
(UPDATE, Dec 14, 2015): The price at the time of this post is now only $94.99! 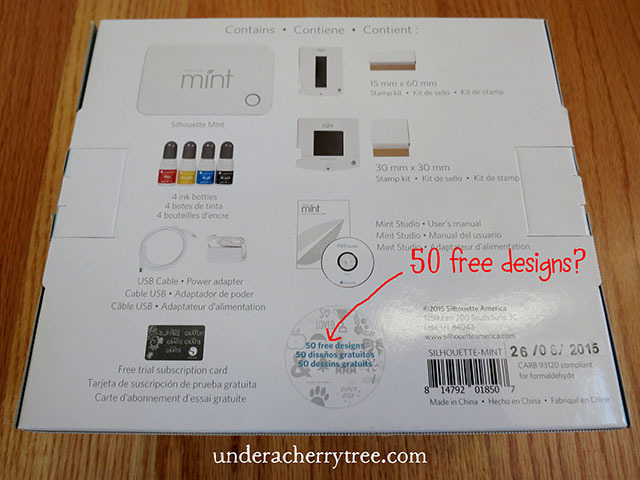 "So the Mint comes with 50 free designs. Stingy much, Silhouette? The Casio Pomrie comes with about 700. Just sayin'." "The back of the box has already showed what it contains inside but let's take everything out anyway." 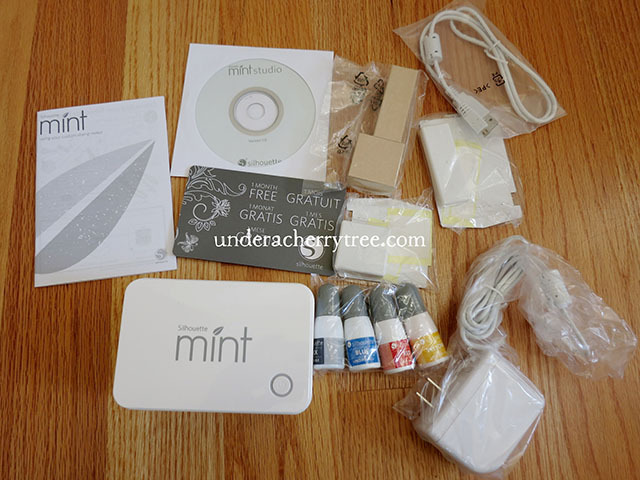 "So here are the Mint User Manual, a trial subscription card for a Basic subscription to the Silhouette Design Store for 1 month, and a cd for Silhouette Mint Studio v1.0. (Funny since I've already downloaded and installed v1.0.062 from their website a few weeks ago. " "Last picture! Here's everything that came in the box. I don't know but I paid almost the same price for both the Casio Pomrie and the Silhouette Mint but I feel like I got more stuff from the Pomrie box. 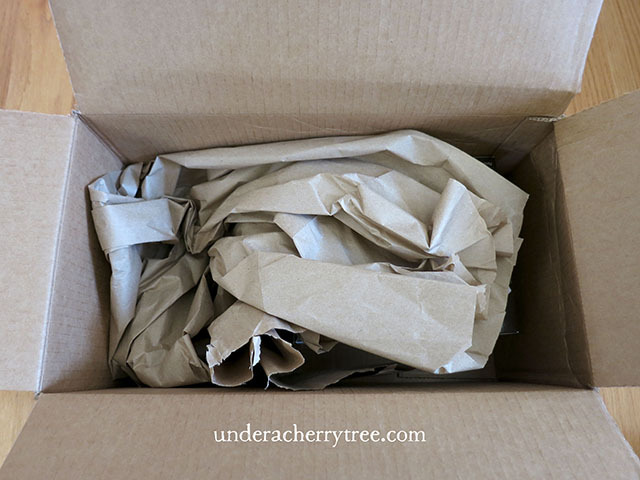 Anyway, I'll post today's UnBoxing pictures on the blog later so do check it out! " 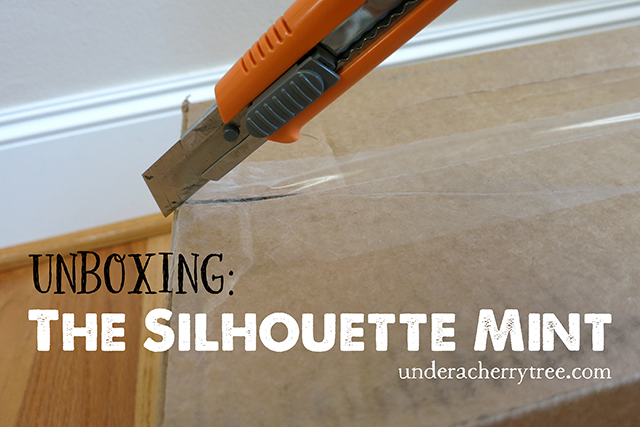 The price of the Silhouette Mint has come down since my Unboxing Party. The same package is only $94.99 at the time of this post! 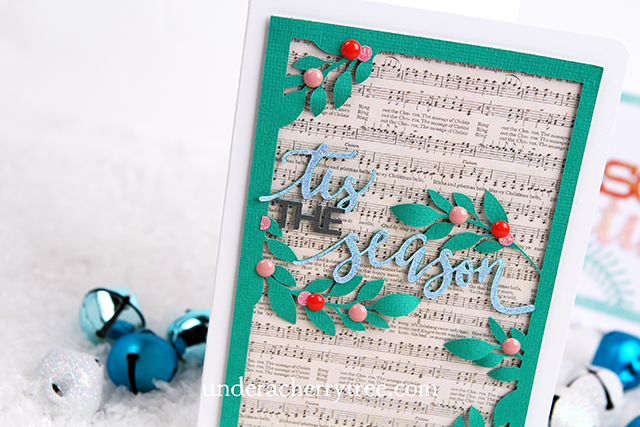 Silhouette has started their 12 days of Christmas countdown at the Silhouette Design Store. They will be giving a new free shape every day from today until Christmas. CLICK HERE TO GET TODAY'S FREEBIE. 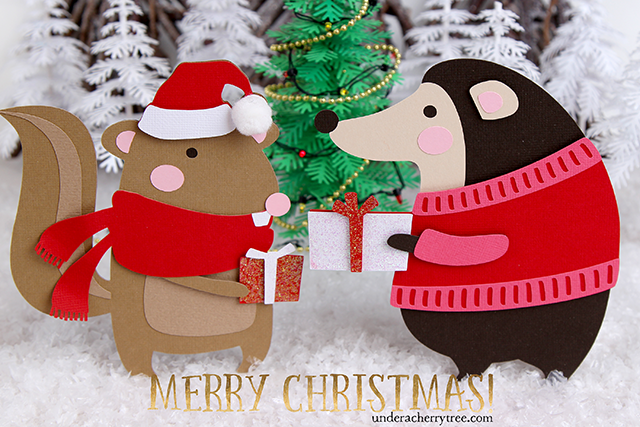 The deadline for sending cards in time for delivery by Christmas Day is approaching. According to the USPS, First Class Mail (i.e., cards and letters) must be sent by Dec 19 (That's this Saturday!). If you have yet to finish making your cards, LD has a set that may help. 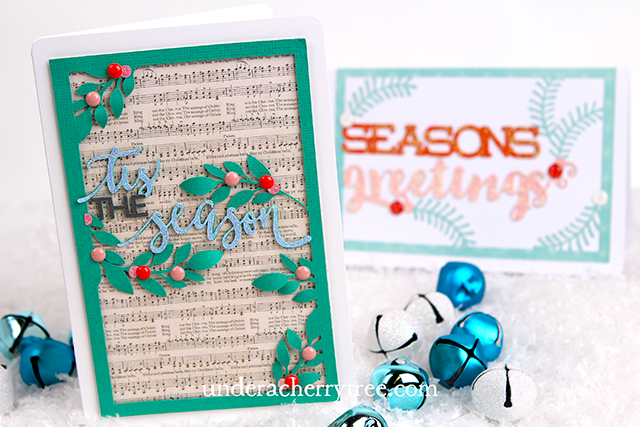 Their Season Greetings Cards look complicated but are surprisingly easy to make. 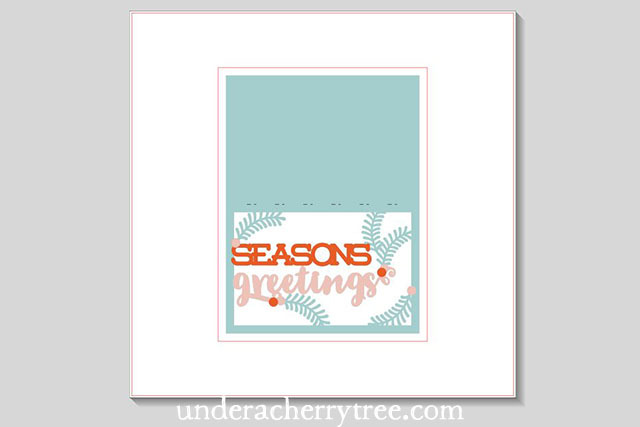 The set includes 16 card designs and I am showcasing two today. The first card that I used was File #14. The design looks pretty but intricate and I was concerned that it would be difficult to cut. I couldn't be more thrilled when the cut turned out to be absolutely perfect! 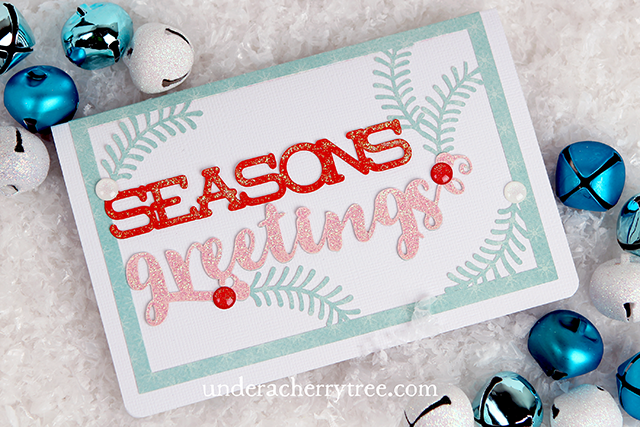 I had used a double-sided patterned cardstock for the card front and I couldn't use the card as intended by LD- there is no blank space inside it for writing a greeting. So I layered the whole thing over a white card base. That way, there will be plenty of writing space inside the card. To bling it up, I used some Stickles and enamel dots. I think it turned out pretty cute. For the second card, I used File #10 and made a slight modification to it. 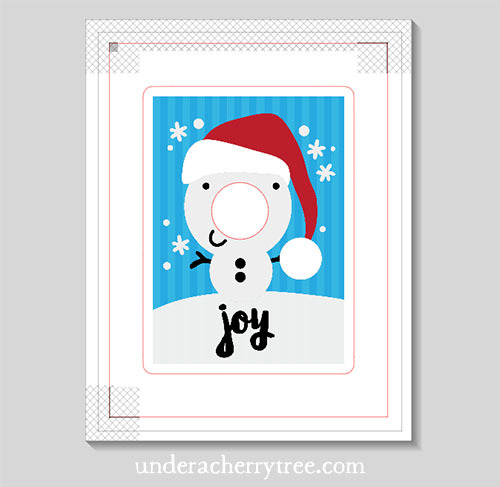 Instead of using the design as-is, I extracted the card front and layered that over a white card base. I assembled the layers together with tape and glue and once again, I used Stickles and enamel dots to make it look more interesting. PRICE DROP! Silhouette Cameo for $189.99! !